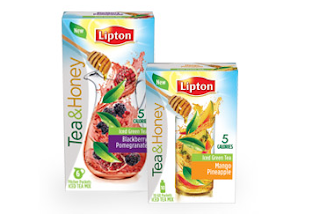 Lipton Tea and Honey is a new low-calorie ice tea mix you can feel good about drinking. Only 5 calories per serving. Your sample will arrive in the mail within 6-8 weeks. THE FINE PRINT: While supplies last. Samples will be given on a first come, first serve basis. Limit one (1) sample pack per person.